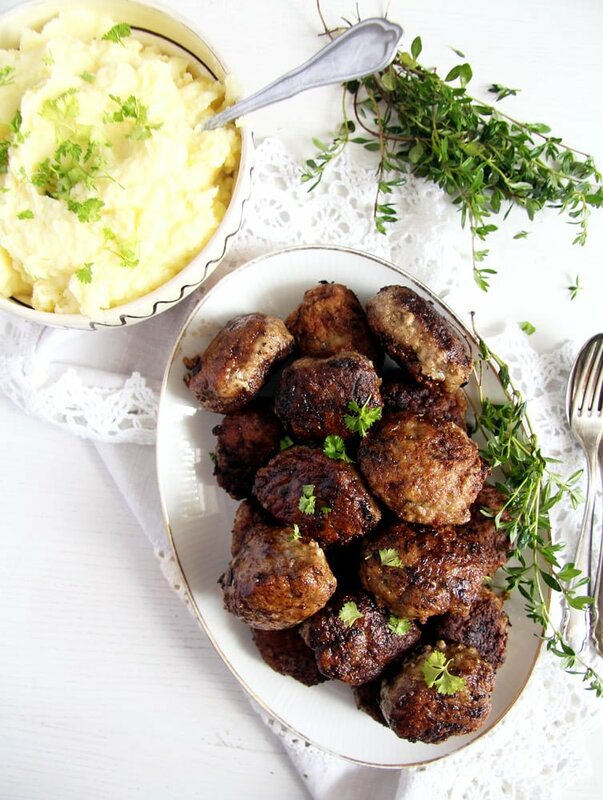 My favorite beef and pork meatballs, Romanian style meatballs: juicy, garlicky, full of herbs and flavor. 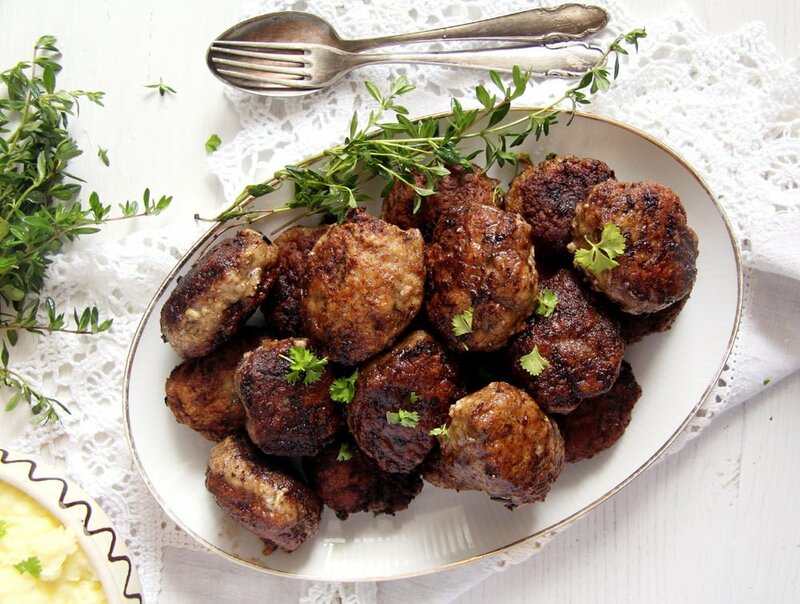 Another month has come to an end and with this recipe for the beef and pork meatballs or Moldavian meatballs – Parjoale another Where is My Spoon Series has come to an end as well. However, these Moldavian or Romanian meatballs have a special place in my heart. 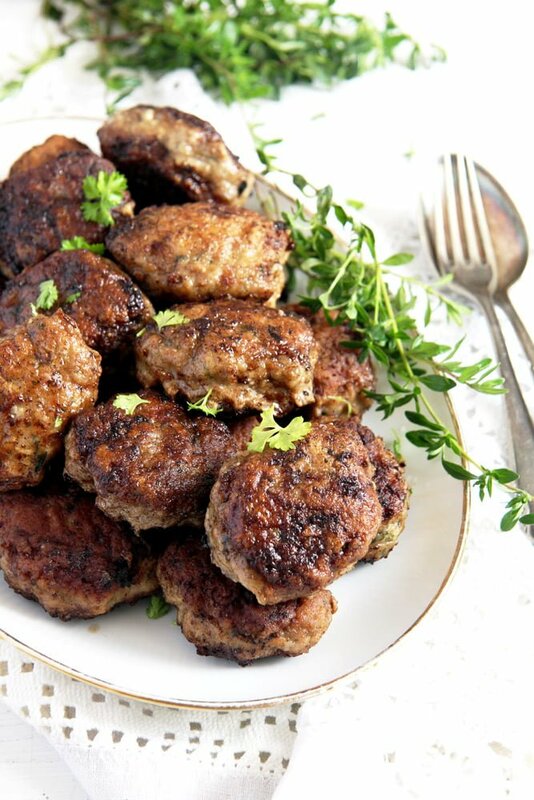 They are something my grandmother used to cook on a regular basis and even if she never called her meatballs Parjoale (the original Moldavian name – meaning something that I would translate with “burnt on embers”), her recipe tasted just like this one. 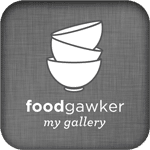 She did mention a few times though that her meatballs are made like the Moldavian meatballs, so I take this to be an almost original Moldavian recipe. Some real Moldavian people might argue with me here, it is a well-known fact that each and every single person owns the original recipe for some ethnic, traditional dish and that all the other variations are just rubbish… and the people cooking those recipes don’t actually have a clue about cooking anyway… 🙂 Did that ever happen to you? It did happen to me recently, on this blog actually. But I hope you agree with me: every country has its ethnic, traditional dishes, each region of that country has its own variations of those same dishes, each village in those regions has its own interpretation of them and each cook in those villages gives those dishes his/her own personal touch. That is real cooking in my opinion and that is what makes a good cook, being able to take a recipe and tweak it until it perfectly fits their own and their family’s taste. And going back to those Syrian Stuffed Grape Leaves, they are the best I have ever eaten, including those Romanian stuffed vine leaves that my grandmother used to make. Not only the best stuffed leaves recipe I have ever had, but also one of the best dishes I had ever eaten in my life. So I could not care less, if the chicken the dish contained is not authentic, if Nesrin says that’s authentic, that is good enough for me. Whenever I make beef and pork meatballs, which is quite often in our house, either they are the traditional meatballs made with pork and beef or chicken/turkey meatballs or vegetarian meatballs like these delicious Broccoli Cauliflower “Meatballs”, I tend to make too many of them. Why? Well, first of all because we all like them so much and secondly, because I love to eat any kind of meatballs cold. I love the beef and pork meatballs warm with mashed potatoes or noodles and sauce, but I love them cold as well, on a slice of nice rye sourdough bread, smeared with mustard (this Homemade Orange Mustard is particularly good if you ask me) or chili sauce (I like the chili sauce version more when it comes to vegetarian meatballs). My grandmother used to make some extra meatballs every time not only so that we could eat them on bread the next day, but also to make Chiftelute marinate, which is a kind of tomato stew with meatballs in it. Delicious! I have to make it myself soon again. And my grandmother only used pork, but I always prefer a combination of pork and the leaner ground beef. 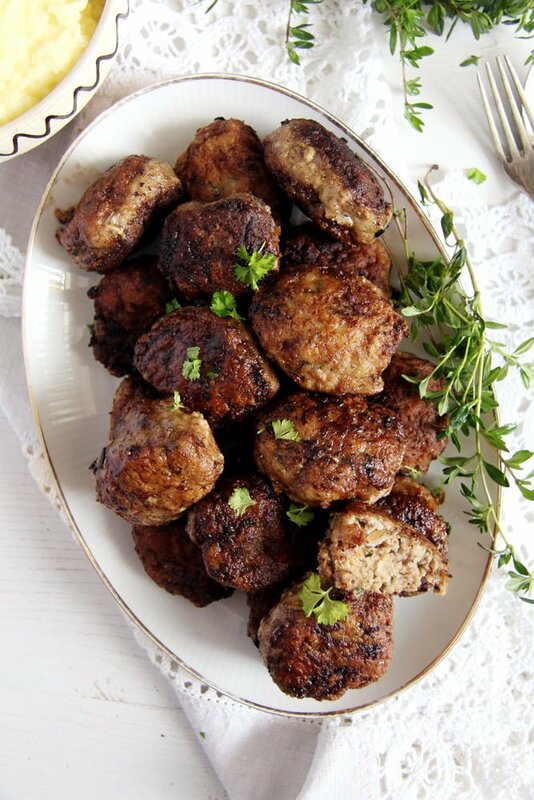 This recipe for meatballs can be easily halved. Break the buns or the white bread into smaller chunks and let them soak in water until needed. Chop the onion finely. Heat the oil in a pan and fry the onion until golden. Let it cool slightly. Give the ground meat to a large bowl. Squeeze the soaked bread very well and give it to the meat. Add the fried onion, grated garlic cloves, milk, lightly beaten eggs, chopped dill and parsley. Add the salt and pepper and mix very well with your hand. If you want to make sure that there is enough salt in the mixture, you could fry a very small meatball and taste it. Adjust the taste again accordingly. Form the meatballs. Mine are rather large (about the size of a golf ball). Press the balls to make them slightly elongated and flattish. Give the flour to a large plate and turn the meatballs into the flour. Pat them carefully to remove the excess flour. 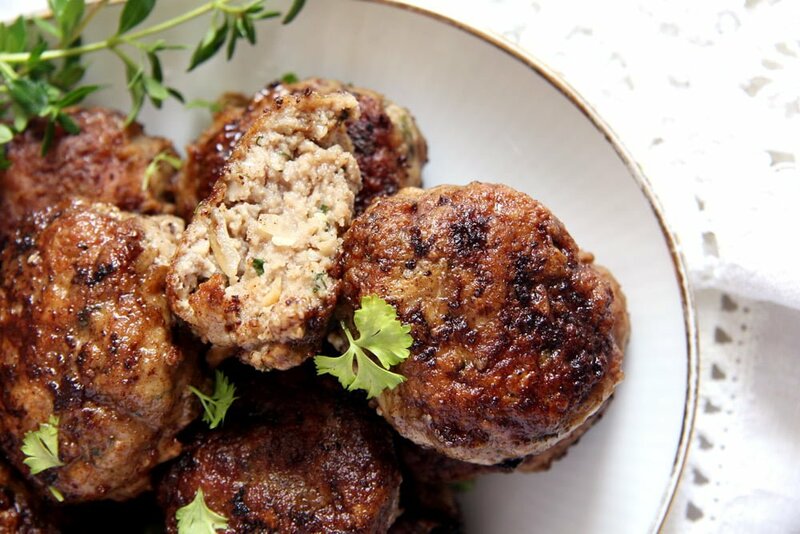 Heat about 2 tablespoons of the oil in a large cast iron skillet or a non-stick pan, turn the heat to medium-low and fry the meatballs in batches, turning once, to brown on both sides. Add more oil between the batches, if necessary. The cooking time depends on the size of the meatballs. They should be deeply browned and cooked through. I cooked mine about 3-4 minutes on the first side and a bit less on the second side. Check one meatball and adjust the cooking time accordingly. The fact that they are flat means they will cook a bit quicker than round meatballs of the same size. Place the fried meatballs on kitchen paper to absorb the excess fat and keep them warm until you are finished with frying all the meatballs. Serve hot with mashed potatoes and pickles/salad or cold on slices of bread smeared with mustard or chili sauce. Meatballs are my husband’s favourite! I have never thought of using dill in meat…now I can’t wait to try it. These look so very juicy and tender. How can you not love these meatballs? My grandma made them all the time, and I looove them with some mashed potatoes.